You’re probably wondering why you have to make an appointment to see us? Why we don’t have a regular shop on the high street you can walk into during normal shopping hours? 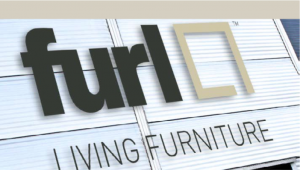 Furl started in 2007 as an online business making storage beds and sofa beds from our workshops in Nottingham (where we’re still based). Our products were an instant hit amongst those who appreciated high quality functional, practical furniture. We quickly realised that most of our customers live in London and the surrounding areas and that you would really benefit from seeing our products for real, so in 2012 we decided to open a showroom in London. Given our experience of visiting furniture stores on the high street and large retail outlets, where there’s lots to see but very few assistants who know anything detailed about the product and seem only interested in selling to maximise their commissions – we set out out be different. We found a lovely brand new unit in Wembley, which is easy to get to by car, (we’ve got plenty of free parking) Tube (Neasden on the Jubilee Line) and Bus (take any to IKEA wembley) and we set up our ‘shop’ there. We’ve made in into a warm and inviting space that shows our products off beautifully. Because we’re based in Nottingham we decided rather than employ someone to sit in the showroom everyday we’d make your shopping experience with us more personal. So we decided to open two days a week on an appointment only basis. We travel from Nottingham to see you and because we’re all involved in the making of the furniture we know the product intimately and with our solid understanding of the mechanics etc, we can answer any question you may have in a relaxed non-sales environment. We want you to enjoy the experience of buying new furniture for your home, we are convinced that the time taken to choose the correct items is well spent, we encourage strict measuring of the space to ensure that you’re choosing the right furniture that not only fits the space but delivers the practical solution you need. So, visiting us is not quite what you expect from a normal furniture store, we feel it’s so much better, you get the personal attention we feel you deserve and we get to show off our brilliant products which we hope you’ll enjoy and find a space for in your home. Click here to make an appointment to visit us.